Australia’s national science agency, the Commonwealth Scientific and Industrial Research Organisation (CSIRO), has formally launched its Association of Southeast Asian Nations (ASEAN) presence, based out of Singapore. 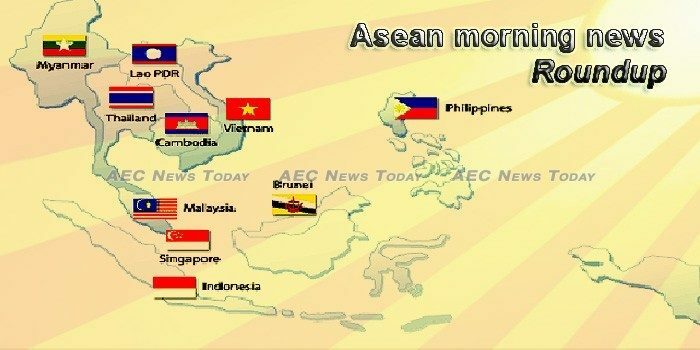 The rising tension between the US and China will not have an immediate impact on Asean’s economic growth as a majority of the countries in the grouping have a domestic demand-driven economy and are backed by sound economic and policy fundamentals. Former Japanese Prime Minister Yasuo Fukuda on Monday underscored the importance of the Association of Southeast Asian Nations (ASEAN) for being the world’s growth center, a remarkable development 41 years after the unveiling of Japan’s foreign policy in the region. IMPROVEMENT of Philippine manufacturing activity remained “modest” in September, according to a monthly survey IHS Markit conducted for Nikkei, Inc., but “robust” domestic consumption, a “solid” rise in new orders and “upbeat business confidence” offset muted foreign demand and “strong” inflation to propel the country back to fore among major economies of the Association of Southeast Asian Nations (ASEAN). CIMB Bank Bhd and CIMB Islamic Bank Bhd have expanded the privileges offered to its “Preferred” affluent customer segment by going regional. The government earned $85.5 million in revenue from the sale of tickets at the Angkor Archaeological Park during the first nine months of the year, a hike of nearly 13 percent, figures released yesterday by Angkor Enterprise showed. Indonesia said it is ready to accept international aid to ease the suffering of victims of the massive earthquake and tsunami that hit Palu and Donggala in Central Sulawesi late last week. National Police Headquarters Bureau of Public, Brigadier General Dedi Prasetyo admitted there are still people who continue to loot a number of minimarkets and gas stations in Palu City to get food in areas where aid has not been evenly distributed after the 7.4-Richter Scale earthquake and tsunami in Palu, Central Sulawesi on Friday (9/28/2018). Indonesia on Monday said it would welcome foreign emergency aid as hopes of finding survivors in the rubble of crumbled buildings faded three days after earthquakes and a tsunami devastated Central Sulawesi. National governments and the world community need to work together to attain the United Nations’ Sustainable Development Goals (SDGs), the Lao Minister of Foreign Affairs told the UN General Assembly on Saturday. Hongsa Power Company has awarded 40 scholarships worth 120 million kip (US$14,900) to secondary students in the districts of Hongsa, Ngeun, and Xienghone in Xayaboury Province for this academic year 2018-2019. Malaysia’s monetary sector is stable despite the government’s fiscal challenges and issues which resulted from the excesses of the previous government, said Finance Minister Lim Guan Eng. Malaysia has raised the official selling price (OSP) of a basket of September-loading Malaysian crude oil grades to US$82.75 a barrel, Petronas said in a document reviewed by Reuters on Monday. Malaysia’s halal exports may hit RM50 billion mark this year, earlier than 2020 target on stronger demand, unfazed by the global trade slowdown, Halal Industry Development Corp (HDC) said. Myanmar has agreed to scale down a Chinese-led port project in the western state of Rakhine, slashing the initial price tag to $1.3 billion from $7.2 billion over concerns about excessive debt. Myanmar manufacturing sector suffered from unfavorable exchange rates against the U.S. dollar, resulting in increase of input costs and output charges. Myanmar and China are on the cusp of signing a framework agreement on the development of Kyaukphyu Special Economic Zone (SEZ) in Rakhine State, U Than Myint, Minister of Commerce and chair of the Myanmar SEZ Central Committee, told The Myanmar Times. The House of Representatives, led by Speaker Gloria Macapagal Arroyo, donated on Monday P6.575-million to financially assist the victims of the Marawi City crisis. The Philippines’ manufacturing sector logged a modest expansion in September, supported by solid demand at home, according to a survey. The congressional bicameral conference committee on Monday approved a bill seeking to increase the paid maternity leave period to 105 days for female workers in the government and private sector. There are no hidden components or perks in the salary structure for Singapore’s ministers, Deputy Prime Minister Teo Chee Hean said in Parliament yesterday. It will also offer 3,800 build-to-order flats in Sembawang, Sengkang, Tampines, Tengah, and Yishun. Formula One, the auto racing series owned by Liberty Media, has revealed that it is on track to receive $27 million from the Singapore government after it agreed to release taxes which had been withheld on the fee for its Grand Prix. The Thai Embassy in Indonesia has requested its government evacuate 32 Thai citizens at the first available possibility, fearing for their safety following a tsunami disaster in the country while the Deputy Prime Minister for Security Affairs has ordered the armed forces provide humanitarian assistance to Indonesia. THAILAND intends to increase exports to Asean markets by 20 per cent this year, Commerce Minister Sontirat Sontijirawong said yesterday. Vietnam is betting car-making can be a ticket to a more prosperous economy, just as it was for the likes of Japan and South Korea. The move is necessary for Vietnam Electricity to cover an incurred cost of VND20.73 trillion (US$892.18 million) in the 2018 – 2019 period, stated the Ministry of Industry and Trade (MoIT) on its website. Cement stocks are trading furiously on the market as sharp increases in the export and consumption of cement are brightening the outlook for this sector.